In remarks to farmers meeting in Arlington, Virginia on Monday, Secretary of Agriculture Tom Vilsack endorsed a request to the Environmental Protection Agency for an increase in the ethanol blend rate up to 15 percent. 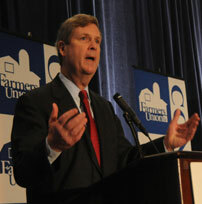 “We can move fairly quickly to move that rate up from 10 percent to maybe 12 or 13 percent in the interim and then take an even further jump to 15 percent or even 20 percent over the course of the next couple of years,” Vilsack said to the National Farmers Union (NFU) convention. The ethanol industry formally petitioned the EPA to increase the blend level to 15 percent on Friday. Growth Energy, one of the groups requesting the increase, recently hired NFU president Tom Buis as CEO, effective next week. 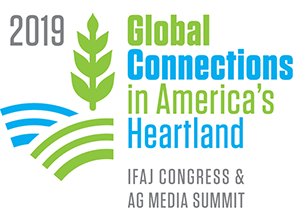 Meanwhile, the agriculture directors of 10 Midwestern states sent a letter to President Obama Monday also endorsing the acceptance of 15 or 20 percent ethanol blends. Letter signers include the heads of state agriculture departments in South Dakota, Iowa, Nebraska, Wisconsin, North Dakota, Kansas, Minnesota, Michigan, Montana and Ohio.